The Blue Moon apartments are located in the characteristic district of Trepalle in a quite area surrounded by nature and the alpine landscape. 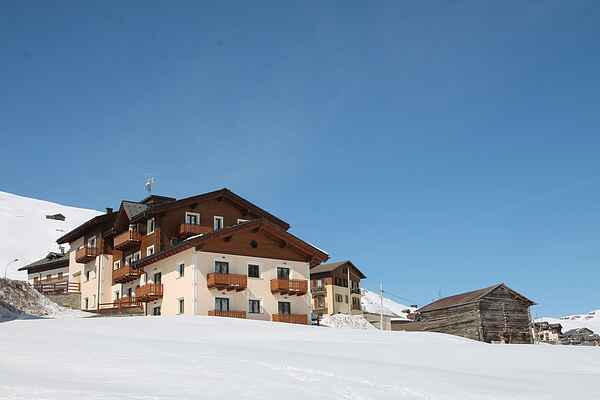 The house is newly built (finished in 2015) and is located at about 1 km away from the chairlift of Trepalle that is connected with the ski area Mottolino. The free bus stop is at 100mt. with the brown line that takes you downtown in Livigno in about 20 minutes. Livigno center is about 7 km and in the immediate vicinity you will find supermarkets, shops, bars and restaurants. The apartments are characterized by the wide spaces, the warm and very bright environments, the very well kept and elegant furniture. In the center of Livigno you can immerse yourself in the atmosphere of the most famous fashion brands and buy taxfree.